Cannes Yachting Festival 2014: Three luxury yacht premieres announced by Azimut – Superyachts News, Luxury Yachts, Charter & Yachts for Sale. Motor yacht Azimut Grande 95RPH is not only new, it is also “number one”: it is the first Grande Collection model to be released since joining the Azimut Yachts family alongside the Atlantis, Magellano, Flybridge, and S. The product of a longstanding partnership with designer Stefano Righini (concept and exterior design) and Studio Salvagni Architetti (interior layout), the 95RPH stands out for its truly unique style. New features on board this 29-metre vessel include: the raised pilot house (which gives the boat its name), the spacious +60 m2 flybridge, and a special layout that provides for four VIP cabins in addition to the boatowner suite. 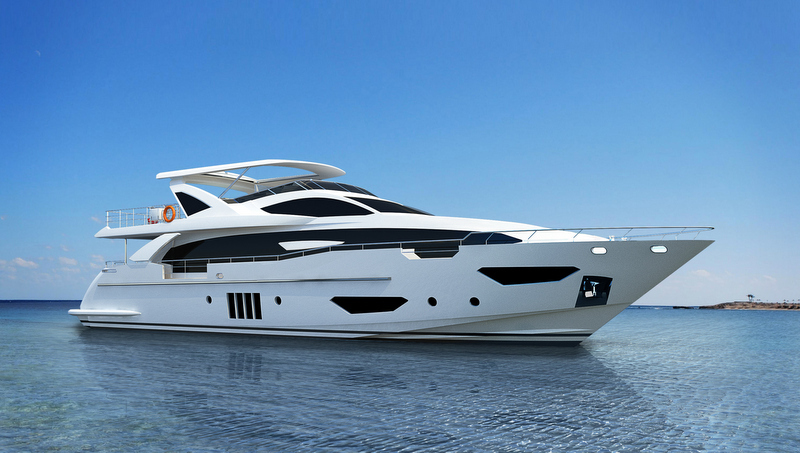 Azimut 77s yacht is the jewel in the S Collection. It has elegant exterior lines and precious detailing in finishes and furnishings. Four units have already been sold in the pre-launch phase, declaring the boat a success and the new benchmark for sport boats. Beyond its wave-piercing vertical bow and steel shield, this 23-metre boat features a pivoting stern platform for maximum flexibility, large one-piece deckhouse window, roof with glass insert, and excellent performance and fuel efficiency thanks to three Volvo Penta engines with IPS transmission. The newcomer Azimut 50 Fly yacht is fresh from its June launch. The 15-metre model in the Flybridge Collection is an impressive vessel with stylish features (mirrored deck-house windows also in the fly, ample space in the bow, and the classic vertical windows in the hull) that take inspiration from another Azimut Yachts best seller: the Azimut 80 yacht. While priority goes to the exterior spaces (the 17.5-metre flybridge is one of the largest in its class) the interiors by Carlo Galeazzi are also designed for total relaxation: the saloon includes a dining area and relaxation zone. The boatowner suit is amidships at full beam. The VIP cabin is in the bow; and, there is also a third cabin for guests with two Pullman beds.